Jane was faced with the crisis of her life — either give up a new and growing love, or shatter her cherished career? 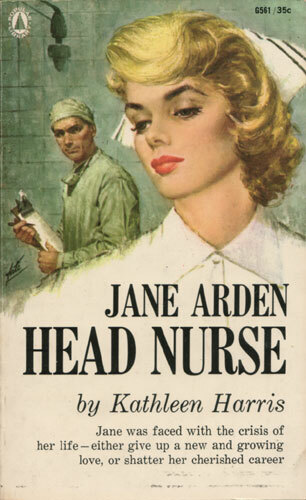 When Jane Arden took over as Head Nurse at the Friedmont Hospital, she knew that the job had many pitfalls. But it was an exciting challenge in a field she loved. Then she met Jeff Wallace, the young, outspoken Chairman of a strife-torn Hospital Board. Jane needed his support and his friendship. She saw him more and more. At first when people started to talk she didn’t care. But she had enemies who wanted to get rid of her any way they could. Suddenly Jane realized that her whole career was threatened — as well as her growing love for Jeff.